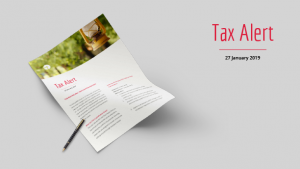 The Asia Law Profiles have ranked CTL Strategies as the leading law firm in the areas of taxation in the Maldives. 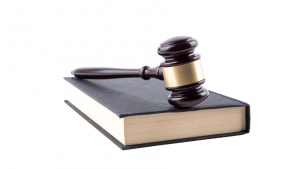 It has also recognized us as the highly recommended firm in the areas of litigation and disputes. The team at CTL Strategies has been praised by their clients as “dedicated and professional” in representing them in foreign investment and, cross-border taxation matters. The firm has a notably stellar reputation amongst local and multinational businesses in the Maldives, for managing and handling tax controversies and corporate litigation. The MIRA recently issued a tax ruling (TR-2019/B69 issued on 21 March 2019) which has changed its position on how director’s remuneration is treated under the BPT Act in the hands of the recipient, and what constitutes directors’ remuneration. I have received numerous queries from clients on what this Ruling is about, what changed and how it is applied in practice, as the wording of the Ruling itself is not that straight forward. I aim to answer those questions in this article. 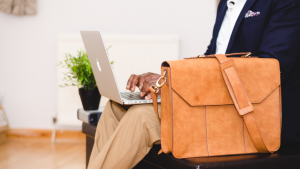 Note that although in this blog post I have only referred to the remuneration of ‘directors’ of companies, the principles apply to partners of a partnership, trustee of trust or members of a body of persons as well. The tax treatment of remuneration of directors can be analysed from two different perspectives; (1) the perspective of the directors themselves (whether the remuneration income so received attracts any BPT in the hands of the directors) and (2) how is it treated in the hands of the person paying such remuneration to the directors (that is, the company or the entity that pays such remuneration). The Ruling (sort of) addresses these two perspectives as well, which I briefly explain below. 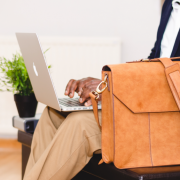 The remuneration that a director receives can be considered as an income from business (in the hands of the director) if the requirements of a contract for service (in simple terms, employment income) are not met (employment income is not subject to BPT). Employment under a contract of service is further explained in Tax Ruling TR-2018/B65 issued on 24 May 2018. The said Ruling is quite strict on how such a determination is made. For example, if the director is not entitled to all the employment benefits as per the Maldives Employment Act, the remuneration can be considered as income from business and therefore taxed in the hands of the director. I have observed in some recent audits that the MIRA has conducted (audits of the directors of companies), where MIRA has assessed BPT on income earned as director’s remuneration. You might argue that this is ‘unfair’, especially when such remuneration is ‘capped’ at 10% of specified profit in the hands of the Company (the company simply can’t deduct director’s remuneration paid in excess of the 10% of the specified profit). With the issuance of the Ruling B69, MIRA will no longer consider director’s remuneration as income from business – even if the conditions set out in the Tax Ruling TR-2018/B65 are not met. This means that the directors will not have to pay BPT on the remuneration that they receive in the capacity as a director. Of course, the company who pays the remuneration can only deduct the remuneration if it does not exceed 10% of the specified profit (the cap will still remain). MIRA on 8 May 2012 issued Tax Ruling TR-2012/B8 which specifies that certain services provided by directors should also be considered as directors remuneration and therefore capped at 10% of specified profits. Eg; a director may develop the company’s website for which he charges a fee from the company for the service he provides. This fee should be considered as the director’s remuneration that needs to be capped at 10% of specified profits. This means if the company had no specified profits, it couldn’t have deducted this amount for BPT purpose. The Ruling B69 repeals Ruling B8. This effectively means that fee for such service need not be considered as directors remuneration that needs to be capped. Mind you that salary and other ‘remuneration’ paid to directors should still be capped at 10%. It’s just the fee for these ‘independent services’ provided by directors, for which the cap doesn’t apply. Also, be mindful that the fee charged for such services should reflect the market conditions and be at ‘arm’s length’. You cannot simply pay an excessive amount of fee to a director for a service he provides to the company and claim a full deduction for that. The MIRA may disallow such excessive amounts as the case may be. There is one more natural consequence arising from the ruling; the director’s remuneration will no longer be subject to Withholding Tax regardless of whether the arrangement with the (non-resident) director constitutes an “employment arrangement” or not. In essence, what the ruling has done is (1) classify the remuneration paid to directors as employment income, which is not subject to BPT in the hands of the director, (2) determine that the fee for ‘independent services’ provided by directors, apart from not their remuneration, as an expense that needs to be capped at 10% (3) classify directors’ remuneration as a payment that is NOT subject to WHT. A seminar on “Recent Developments in BPT and WHT” was conducted by CTL Strategies on Saturday, 13 April 2019. 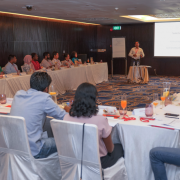 The seminar held at hotel Jen was attended by senior executives and accounting executives from tourist establishments, and major and medium enterprises operating in Maldives. The full day seminar covered a number of topics regarding BPT and WHT, and particularly focused on recent audit determinations made by the MIRA, recent tax rulings and changes in the BPT and WHT regime, and their impact on enterprises. The seminar also covered, procedural requirements and other points to be aware of, when disputing a decision of the MIRA.